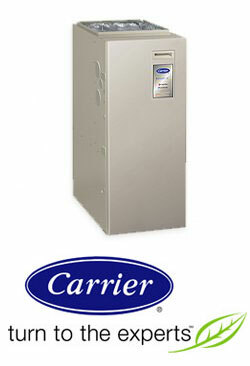 Here at Service Doctors, we offer a wide variety of efficient and top quality Carrier furnaces. Whether you are in the market for a gas or oil furnace, we are sure to have a high–efficiency Carrier furnace to suit your needs. If you live in the Washington, DC area, you can rely on us for all your Carrier furnace needs, from installation to routine maintenance. Contact us at any time to find out more about our Carrier products and our HVAC services. The Infinity 96 gas furnace is Carrier’s most high efficiency furnace, with up to a 96.6% AFUE. When combined with the advanced Infinity System, it will provide reliable and energy–efficient heat for your home for many years to come. You might choose to install the Infinity 80 Gas Furnace, which combines energy efficiency with Carrier’s intelligent Infinity System control. With up to an 80% AFUE rating, Carrier’s advancements in high efficiency heating can pay off through lowering your heating bills. Call us today to find out more about how you can save energy and lower your bills with a new high–efficiency Carrier gas or oil furnace.